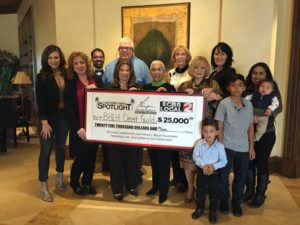 A $25,000 Coachella Valley Spotlight grant from the H.N. and Frances C. Berger Foundation will help upgrade the Palm Canyon Theatre’s 20-year-old equipment. The award came just as the theatre is celebrating its 20th anniversary season. The Palm Canyon Theatre incorporates education into every production, hiring professionals as needed to teach aspiring performers and technical crews specialized skills. The regional repertory theater is dedicated to the education of live stage production and the enrichment of the greater Palm Springs community and its visitors. PCT produces about 13 Broadway musicals and classic plays each year, plus offers a children’s theatre camp and production. Auditions are called several times a year for people of all experience levels. The Palm Canyon Theatre was founded by members of the Layne Family; each has a professional theatre background. After extensive tenant renovations to the historic Frances S. Stevens School, the Palm Canyon Theatre opened its doors in September 1997. PCT has a small staff and about 250 volunteers, which include on-stage and off-stage talent, ushers, summer camp counselors, and more. 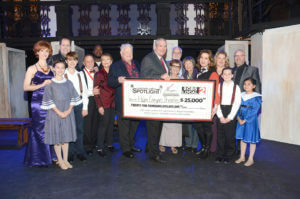 “When looking at need in a community, it’s sometimes easy for people to overlook the arts and support causes that appear more essential, but I’m proud of the CBS Local 2 Advisory Board for recognizing nonprofit organizations, like the Palm Canyon Theatre, that help strengthen our communities in a variety of ways,” said Mike Stutz, General Manager of Gulf California Broadcast Company, which owns and operates CBS Local 2. Along with the grant, Palm Canyon Theatre was featured on CBS Local 2’s “Eye on the Desert,” in public service announcements and on the cbslocal2.com website throughout the month of February. The Palm Canyon Theatre is located at 538 North Palm Canyon Dr., Palm Springs. For more information call 760-323-5123 or visit www.palmcanyontheatre.org. A $25,000 Coachella Valley Spotlight grant from the H.N. and Frances C. Berger Foundation will make it safer for seriously ill children to be transported by ambulance from a Coachella Valley hospital to Loma Linda University Children’s Hospital (LLUCH). The grant was awarded to Big Hearts for Little Hearts Desert Guild in Support of Loma Linda University Children’s Hospital, which seeks to enhance the lives of our community’s children. LLUCH works in partnership with hospitals in the Coachella Valley. As a tertiary hospital, LLUCH is staffed and equipped to care for even the most serious health situations. In 2016, about 1600 critically ill or injured children were referred to LLUCH from area hospitals. One out of every three children transported from the Coachella Valley to LLUCH goes by ambulance. “We work hand in hand with our transport team. They are often the ones who save the child’s life during transport before they even make it to LLUCH, and often, they are the forgotten heroes. 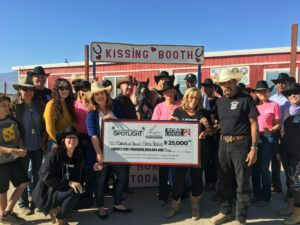 When it came to this grant, we asked them what they needed to make their jobs easier,” said Josh Zahid, Big Hearts for Little Hearts Desert Guild Manager for LLUCH Foundation. The proceeds from the grant will be used to purchase a Revel Transport Ventilator and a GE VScanner portable ultrasound to be used by the transport team in the ambulance. This equipment will give the medical personnel the necessary tools to save lives during the trip to the comprehensive, specialty hospital. “We are happy this grant will create a safer trip for children being transported to Loma Linda, and hopefully give some relief to families during a stressful time,” said Catharine Reed, Program Director for the H.N. and Frances C. Berger Foundation. “The Big Hearts for Little Hearts Desert Guild was founded to support the health of children in our area who need the special care that sometimes only a children’s hospital can provide, and we believe receiving the Coachella Valley Spotlight grant will help the organization fulfill its mission,” said Mike Stutz, General Manager of Gulf California Broadcast Company, which owns and operates CBS Local 2. 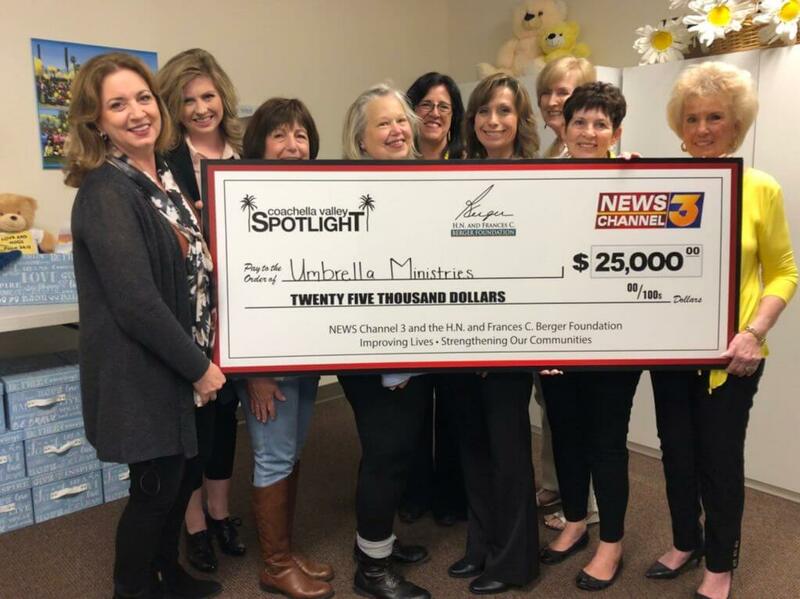 Along with the grant, BHLH Desert Guild in support of LLUCH, was featured on CBS Local 2’s “Eye on the Desert,” in public service announcements and on the cbslocal2.com website throughout the month of January. For more information about the organization call 909-558-5384 or visit lluchdesertguild.org.